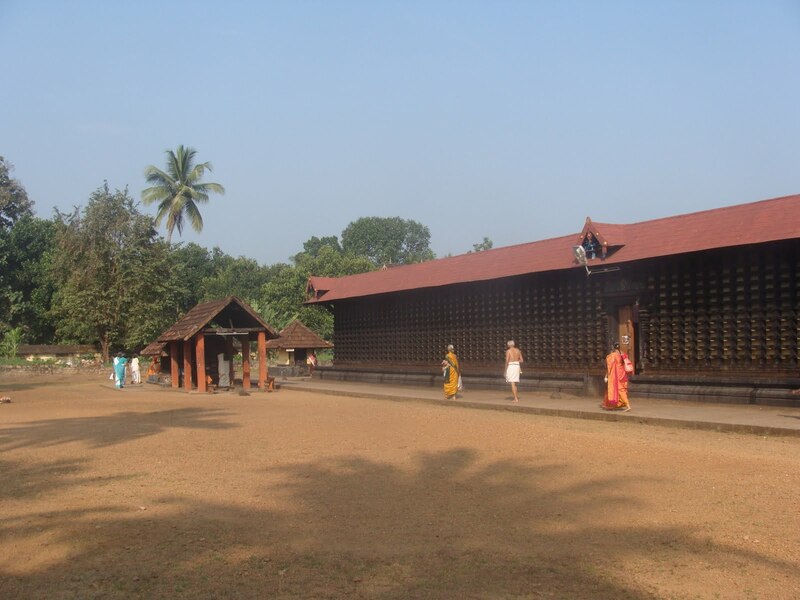 Located about 10kms East of Chengannur Divya Desam on the Southern banks of the Pamba river is the Thirukuralappan Divya Desam in Aranmula. 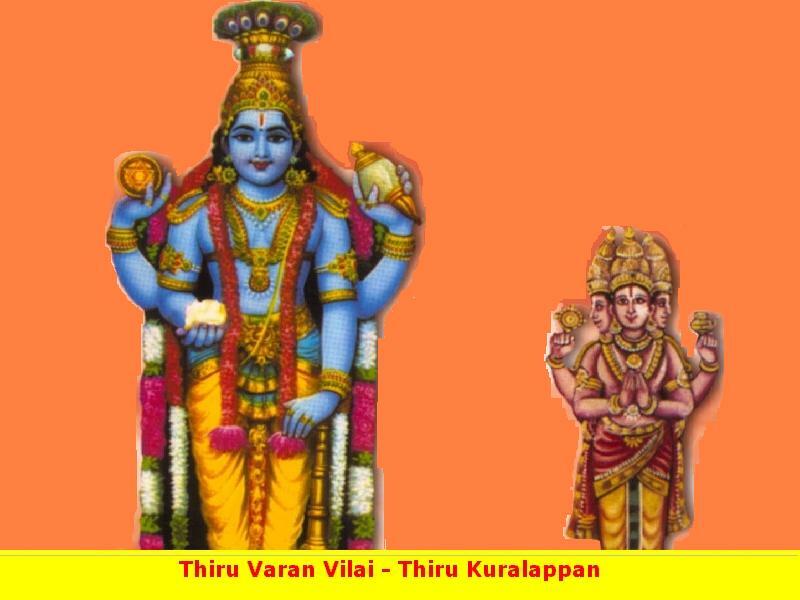 This Divya Desam is referred to as Thiru Vaaran Vilai and symbolises Arjuna’s thanks giving gesture to his sarathy (charioteer) Krishna who guided him through the Mahabaratha war. The speciality of this sthalam is the precious ornaments of Sabharimalai Ayyappan is protected only in this sthalam. During Makara Jyothi, it is taken from here and dedicated to Ayyappan. This Divyadesam is constructed and devoted by Arjuna. 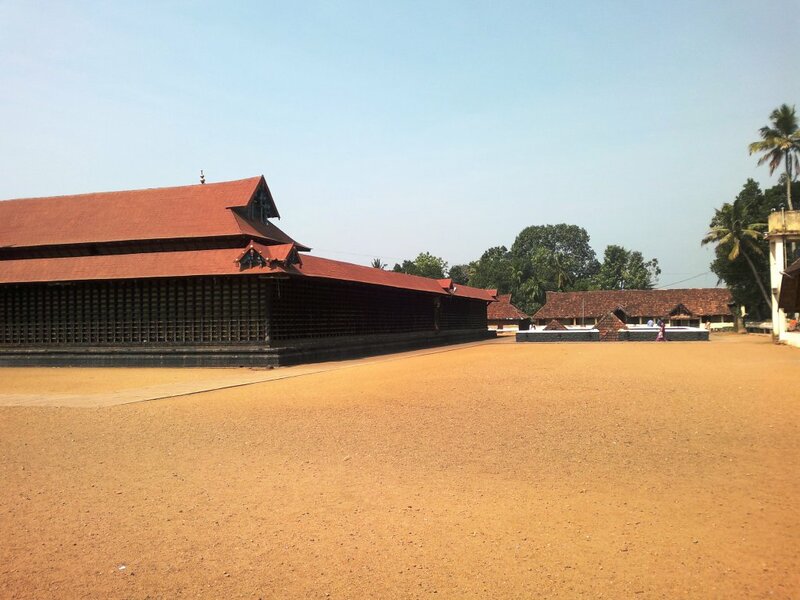 The Parthasarathy Perumal Koil in Thiruvaaranvilai in Aranmula was built by Arjuna, who came here at the end of the Mahabaratha war to undertake penance repenting for the killings of his relatives, especially his brother Karna, who he unceremoniously killed when his chariot was grounded to the earth. It is here he hid his weapons in the Vanni tree, according to scriptures. Arjuna thus got himself cleansed of his sins with the grace of Lord Perumal. Lord Tirukuralappan graces in a standing form facing east. The vimana-tower above the sanctum sanctorum- is called Vamana Vimanam. Sage Veda Vyasa and Lord Brahma had the darshan of the Lord. Once, two demons Madhu and Kaidaba snatched the Vedas from Brahma who sought the grace of Lord Perumal to recover them. Perumal destroyed the demons and recovered the Vedas. Brahma performed penance here on Perumal as a token of his gratitude to Lord. It is here Arjuna hid his weapons in the Vanni tree during Pandava’s life incognito. The nuts falling from this Vanni tree is heaped around the flag post of the temple and sold to devotees. People pray for the welfare of children. They bring sick children to the temple, throw away Vanni nuts after rounding them on their heads. They firmly believe that these thrown nuts attack the disease of the child as the arrows of Arjuna attack the enemies. 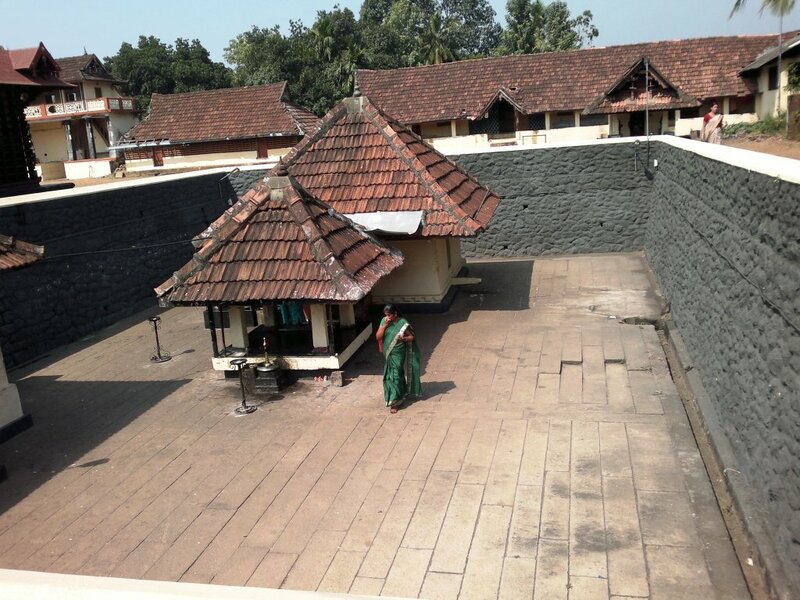 Holy Pamba river of Kerala passes through the northern entrance of the temple. There is a shrine for Sage Parasurama in the temple. The temple has the reputation of being one among the 108 Divya Desa Vaishnavite holy places. There is an idol of Parathasarathy installed by Arjuna in the temple covered with gold. Pujas are performed grandly to Lord Parthasarathy. Festival: Aaraattu Vizha is celebrated grandly on the Tiruvonam star day in Thai month (January-February) in the temple. 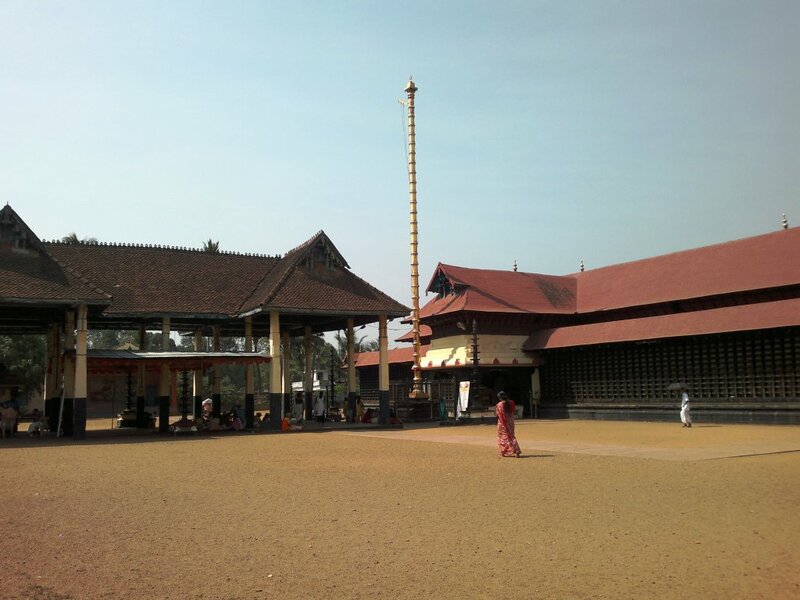 Tulabharam, an age old practice, continues to take place at this temple and one can see the big Tulabharam hanging as one enters the temple from the eastern side. Ornaments for Sabarimala Lord Lord Ayyappa’s ornaments are kept here through the year and are taken from here to Sabarimala 2 days prior to the Mandala Vilakku during the Makara Jyothi period. Aranmula Boat Race An annual boat race takes place at the Pamba River which runs right next to the Aranmula Divya Desam.